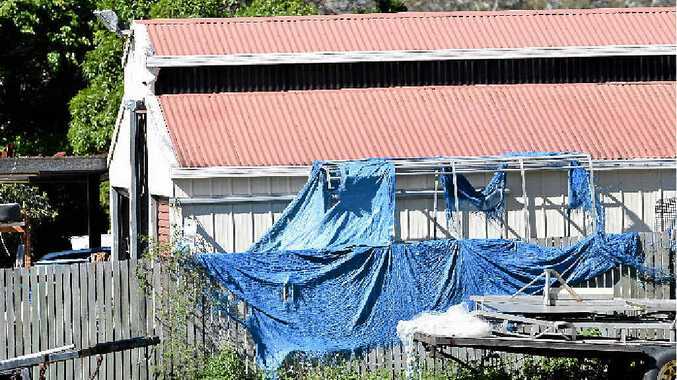 A QUIET Cooloola Cove street was the epicentre of frenzied speculation yesterday as police established a crime scene in the backyard of a fisherman's home which backs on to the Toolara Forest. 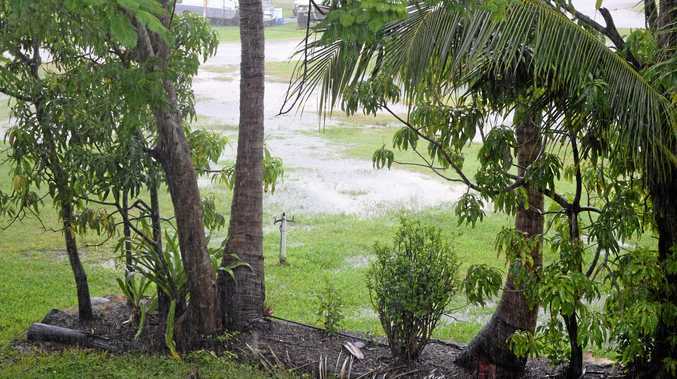 Police moved in on the Investigator Ave property early on Monday morning, erecting a marquee over a site in the unfenced backyard and maintaining an around-the-clock guard while they investigated a possible link with the murder of Gold Coast father Shaun Barker, whose skull was found nearby in April. The front of the property was under police guard but authorities remained tight-lipped about what it was they were looking for. Five police vans were on the scene. Numerous officers were present, both uniformed and in forensic gear. Gloves, disposable overalls and hair caps were seen on at least one woman working near the marquee. The property was otherwise unassuming - a brick home with a three-bay garage and tin carport at the rear. An upturned boat, fishing nets and stacked tyres could be observed from a neighbouring property. A steady stream of curious locals drove past the home yesterday morning. The local rumour mill was in overdrive, drawing connections between the excavation and the skull of Shaun Barker, found just a few kilometres away in another section of the Toolara Forest on April 10, this year. That connection was later confirmed by Queensland Police media. A couple living nearby said they knew nothing about what was going and had yet to be approached by investigating police. "We saw the police arrive Monday and they have been there even since," the couple, who did not want to be named, said. "At first we thought it was just another drug bust but we don't think so anymore. "They have been there too long and the property is under guard. "Something else is going on." The man said he approached police asking about their presence on the property but was told very little. "I was told (the property) was a crime scene but there was no comment beyond that," he said. "The whole community is talking about it and there are so many rumours flying about." The couple said they hadn't seen anything suspicious at the property they could remember and that it was involved in a family-run fishing operation. Many people would visit the residence in connection with the business, depending on the time of the year, they said.